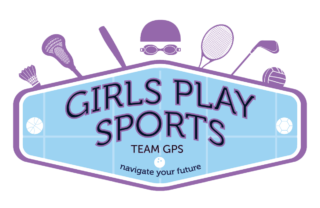 Trunk or Treat – Girls Play Sports, Inc. Kids of ALL AGES join us to trick or treat at this fun community event. Our first annual Trunk or Treat was a great success! Thank you to all of our sponsors and volunteers for their support and to all the kids and families who joined us despite chilly, rainy and windy weather! Save the date for next year’s event. Cost: Free! But please pre-register so we can know how many people are coming. Check out photos of your kids taken by Jessie Hearn Photography at the event here. Girls Play Sports (GPS) invites you to sponsor one of our 50 parking spaces at our Second Annual Trunk or Treat event on October 27th, 2018! Youth sports organizations, local businesses and families from across Evanston will come together to get into the Halloween spirit. Sponsors will decorate a car in the ETHS parking lot and hand candy out of their trunks to elementary and middle school children from across the Evanston community. We encourage you to decorate your car, promote your organization by hanging a banner or sign, be creative with your candy selection (nut free please), and distribute promotional or informational materials. 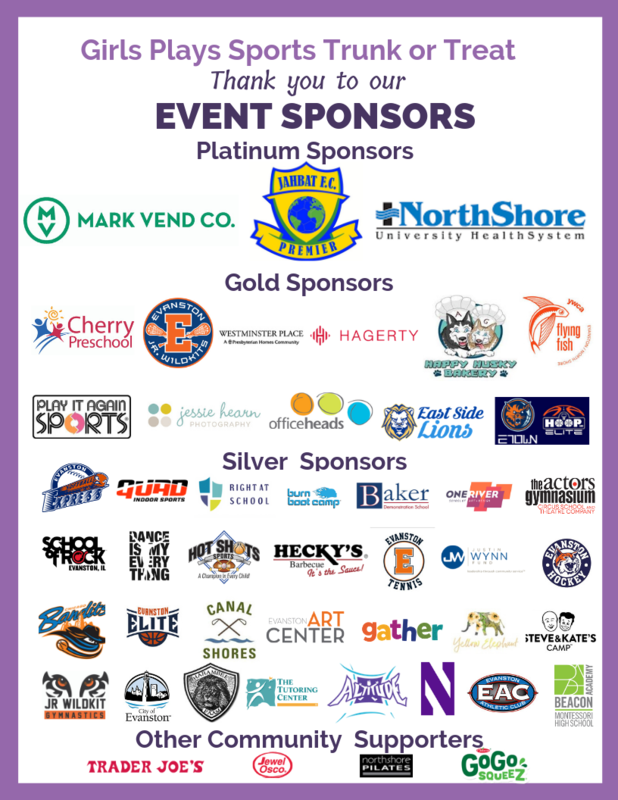 This is the only event of its kind in Evanston where a myriad of youth sports organizations will be represented, along with local businesses, and children from all parts of Evanston will be invited! If you would like to sponsor a spot for 2019, please contact us.